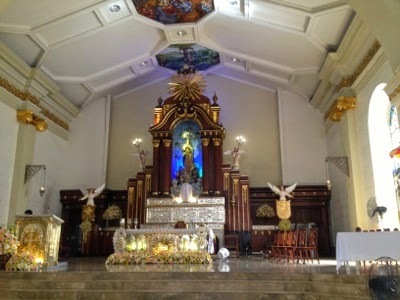 For this year, we did Visita Iglesia in Bulacan, the province where I grew up with. 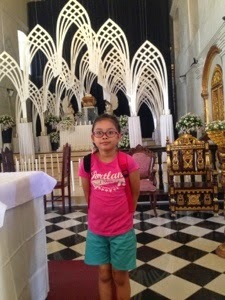 We were not able to get into 7 churches but all of those we visited have memories from the past. With us were my mom, sis and niece. It was very sunny that day that even if we have brought some refreshments in the car, it seemed to be not enough to keep us cool. We made the effort to do it this year especially that Reese had her First Holy Communion few days ago. 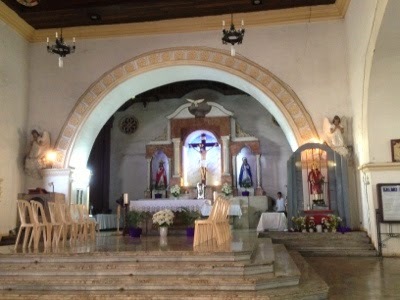 From our home in Guiguinto, our first stop was at the Parish of San Ildefonso. It is the church beside our school when I was elememtary at St. Martin de Porres Catholic School. It is where I had my First Holy Communion and where we attended several First Friday masses. Also, my sister and my brother got married here. Second stop was at the Sta. 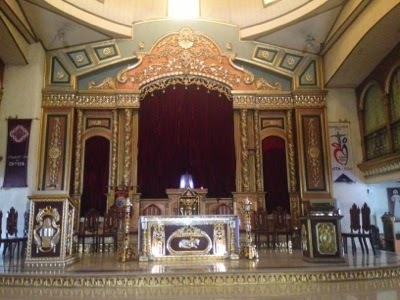 Isabel Church. 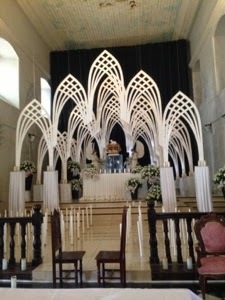 My dad, aunts and uncles tarditionally go to this church every Easter Sunday to join the "Salubong" procession. 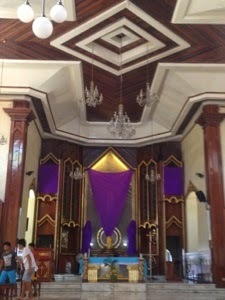 Fourth stop was at the Malolos Cathedral. It is where my sister and I were baptized. On our way going back to the main road, we passed by my grandmother's former home. I saw my cousin Sheila at the store and we dropped by to see Tita Rose and Daryl as well. We had another round of refreshments in the form of Coke Sakto :). We were all talking and laughing that I forgot to take photos. 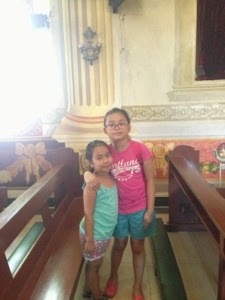 Fifth and last stop was at the Balagtas Church. It is where my brother was baptized. Then we went back home to eat Palabok that mom ordered along the way before we finally went back to our home base in San Juan.